Dr. Joey's Newsletter - January 2016 - New Year, New You! 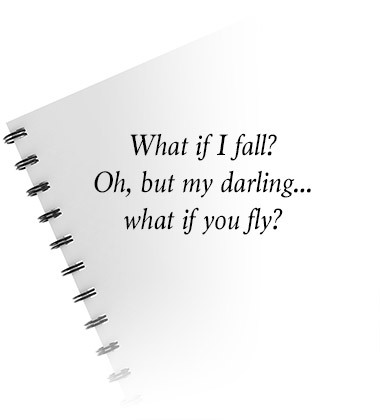 While doing some reading, I recently found the following quote, "What if I fall? Oh my darling... but what if you fly?" This truly hits a chord on many levels. So many of us are worried to take the leap to new ventures - be it health, relationship or occupation. The truth is - if we don't try to fly... then what? It is always better to have taken the leap - life will reward you for spreading your wings! So - as my readers know - my personal passion is improving and changing lives with health and nutrition. I truly believe that what we eat affects us emotionally, physically and spiritually. So this year - whether you choose to visit us 1 on 1 at Shulman Weight Loss clinic (long distance available! ), are inspired by an article or book I post or, follow the Cityline weight loss challenge atwww.cityline.ca - lets do this together shall we? I know you are up to the challenge and I am here to help you get your healthy back and support you along the way. From achieving more energy, feeling more vibrant and ?lighter? and being your best self - YOU are worth the effort. We are kicking off the 5th annual Cityline weight loss challenge and we could not be more excited! Our motto this year is - Oh yes you can! If you have been putting your health on the back burner or feel you don?t have time or energy to start... this is your year. All you have to do is follow along at www.cityline.ca to see the program summary, posts, meal plans, blogs and access to our online chats. 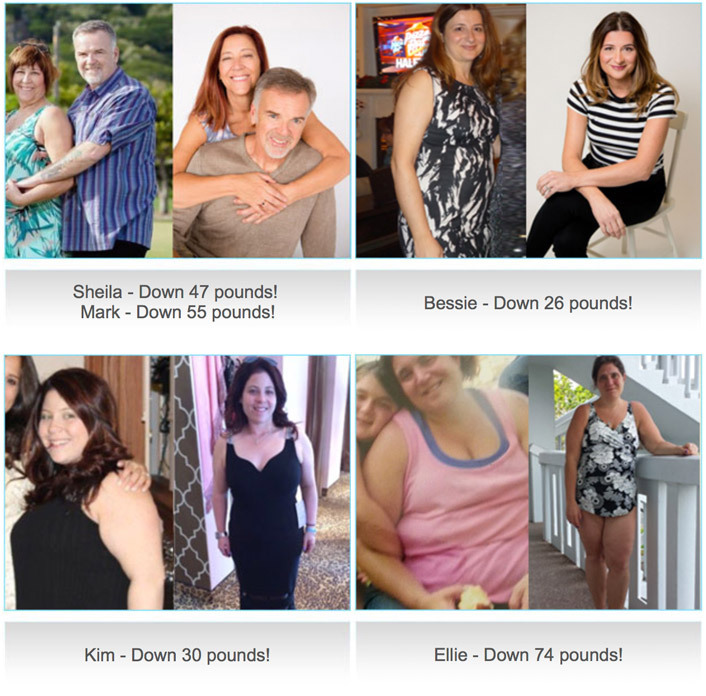 Keep in mind - our 4 winners lost over 129 pounds collectively last year! Come join us... and make 2016 your healthiest year yet. In the blink of an eye - Shulman Weight loss is turning 10 years old! With over 20,000 visits per year - we are proud to say that we are the GTA?s and London?s #1 weight loss program! All of our programs are hormonally balanced, personalized and committed to our clients success. No injections, no pills or potions - just results and optimal health. To celebrate our anniversary - we are offering 10% off of all our programs. If you are fed up and are looking to lose your weight in a 1 on 1 setting - call us for a free initial assessment (see details below)! Check out some of our latest before and afters! This 100% natural detox kit by Saje is the perfect way to cleanse your system in the New Year. This amazing kit includes bath salts, a super detox organic loose-leaf tea and a detox remedy that combine essential oils designed to remove waste and toxins. The bath salt minerals are absorbed while toxins are released into the bath water, leaving you feelings cleansed and detoxified. The creator of Good hYOUman clothing knows that words have power! 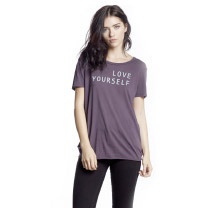 This super comfortable clothing line offers powerful positive affirmation to brighten your day on t-shirts, sweatpants and sweatshirts all the while looking super chic. A portion of the proceeds of the men's and women's line is donated back to various charities the company has aligned with. 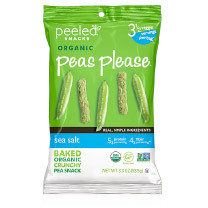 These baked, organic, crunchy pea snacks make snacking feel guilt free. Filled with clean protein, fiber, iron and vegetables - these tasty treats are also gluten free and non-GMO. Available in 3 flavors including garden herb, sea salt and southwest spice. I tested out all flavours on my children and I got two thumbs way up from both! I love the feeling when I lose track of time because I am in a creative mode. This is exactly what an adult coloring book can do for you. 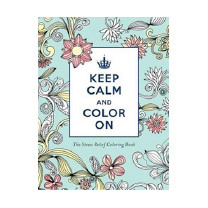 If life sometimes gets a little too loud - take 10 minutes for yourself and color! It is indeed a form of mediation that helps to settle the nerves and relax the mind. In the winter time, Vitamin D deficiencies can be the number one cause of depression, lethargy and mental fogginess. The energy lamp by Verilux uses up to 2,500 lux of natural spectrum daylight, which helps to improve mood, energy and concentration by recalibrating and stabilizing our bodies stores. 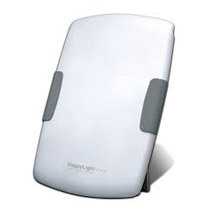 Easy to move from room to room and compact, the Happy Light gives off soothing energizing illumination that will last all winter long! Directions: Blend together and enjoy! Place a large saucepan over medium heat and add in some olive oil. Add the beef and cook until browned. Remove from the saucepan and set aside in a bowl. In the juices left in the pan from the beef, add in the garlic and cook for 30 seconds. Then, add in the red onions and red pepper flakes. Cook for 1 minute and then add in the celery and carrots. Cook for 2 minutes to let the vegetables sweat and then add back in the beef chunks. Add the worcestershire sauce, thyme, and cayenne pepper and stir to combine. Then, season with salt and pepper and add in the beef broth and diced tomatoes. Place the bay leaves on top and cover to bring to a boil. Once brought to a boil, lower to a simmer and cook for 40 minutes, covered. Then, remove the cover and let simmer uncovered for 35 more minutes or until the stew thickens. Enjoy garnished with a bit of fresh parsley on top. Heat olive oil in a large non-stick wok or skillet on medium high. Stir-fry the garlic, ginger and green onions for 1 minute. Add the cauliflower and water chestnuts and stir-fry for 4-5 minutes. Add edamame, bean sprouts, soy sauce and sesame oil for another 1-2 minutes. Push the entire mixture to one side, add the beaten eggs and scramble for about 2 minutes or until the are just set. Mix the eggs into the rice and season with pepper to taste. Slice a zucchini very thin using a mandolin or sharp knife. Spray 2 baking sheets with olive oil cooking spray and spread out your zucchini slices evenly so they do not overlap. Remove from oven when slightly crunch and brown. Enjoy! 1. Kick grains from dinner - As the sun sets in the evening, our metabolism tends to slow down making it harder to digest grains. For weight loss and energy, keep your dinners light by removing all grain. 2. Cut back on your caffeine - Trust me - I adore my one coffee per day. But,... too much caffeine can stress our adrenals, making it harder to loose weight. Replace that second cup of coffee with an herbal tea or green tea that can help to boost metabolism. 4. Reduce stress - Easy to say with kids, work etc.-but often times reducing stress takes planning and intention. Whether you stretch, drink a cup of herbal tea alone, color, meditate or work out - it is so important to take a little bit of time for you each day. 5. Cut the sugars! - Get yourself back on track by cutting out added white sugar and substituting with natural sweet options such as low sugar fruits (apples and berries). If wanting a little sweet in your morning coffee - add a titch of low glycemic index coconut sugar.